Chinese electric carmaker Nio is about to make its debut on Wall Street having priced its initial public offering (IPO). Nio priced its shares at $6.26, at the low end of its $6.25 to $8.25 target price range. The company raised $1 billion in the IPO on Tuesday, though it had earlier targeted a $2 billion to $3 billion debut. The company will be listed on the New York Stock Exchange under the ticker symbol NIO. Morgan Stanley, Goldman Sachs and JPMorgan were among the underwriters. 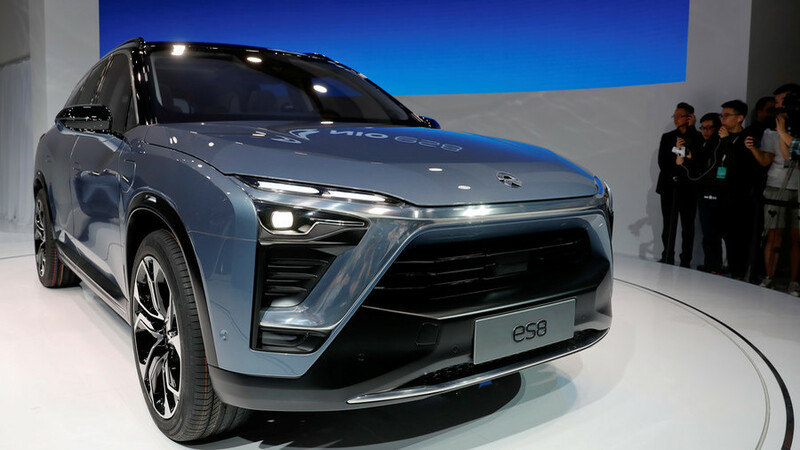 “Currently we believe no premium BEV (battery electric vehicle) is available to Chinese consumers at competitive pricing and the ES8 is expected to face limited competition initially from premium BEVs,” Nio said. In China, the company is backed by conglomerate Tencent and another tech giant Baidu. Besides producing electric cars, Nio and Tesla have another thing in common – both companies are burning through piles of cash. Nio had just $7 million in total revenue for the first six months of 2018 with losses exceeding $502 million. “We have negative cash flows from operation, have only recently started to generate revenues and have not been profitable, all of which may continue in the future,” Nio said. However, unlike Tesla and its CEO Elon Musk, the Chinese company has been honest about its inability to meet production goals on a regular basis. “Our ability to develop and manufacture a car of sufficient quality and appeal to customers on schedule and on a large scale is unproven and still evolving,” the company said.